Anyone who read my review of the Ford Ranger WildTrak knows that I’ve always had a bit of a thing for big, off-road capable bakkies. 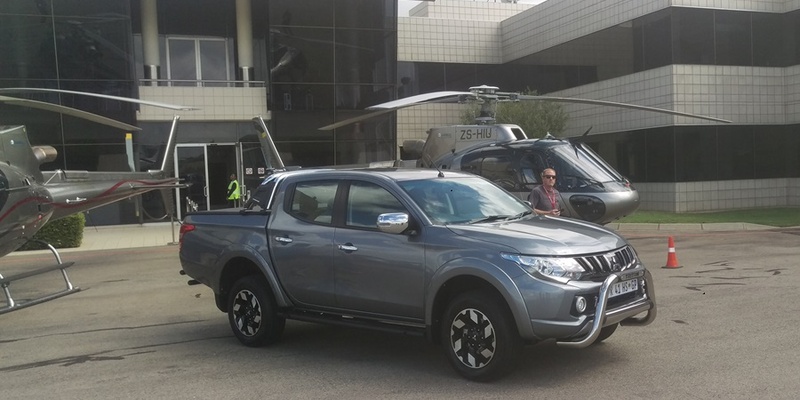 It should hardly be surprising then that when I was recently given the chance to spend a day in the new Mitsubishi Triton, I jumped at it. Outside of personal preferences though, there’s a lot riding on the new Triton. As Mitsubishi looks to put the 2016 fuel scandal behind it and make the most of new position in the Renault-Nissan alliance, it could show the market that Mitsubishi is up off the floor and fighting again. Thing is, even if that’s the case, it’s not going to be an easy battle. 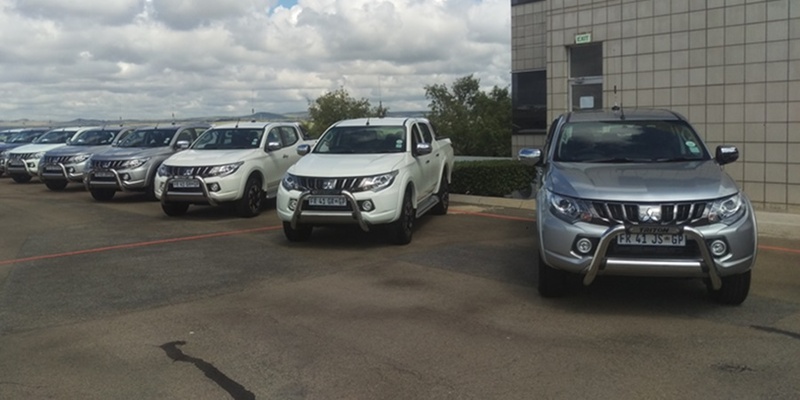 In South Africa, the premium bakkie market is ultra-competitive. Toyota’s Hilux and Ford’s Ranger dominate, while Isuzu, Nissan, and Volkswagen all have strong offerings. And unlike many of those companies, Mitsubishi does not have manufacturing facilities in South Africa. That, in turn, means that it faces heavy import tariffs on any vehicles it brings into the market. Despite those hurdles, and the fact that it will only be available in the double cab variant at launch, Mitsubishi believes that there’s a market for the new Triton. Despite being on the upper end of the market in terms of costs, the Japanese automaker says that the Triton has enough going for it to go up against the biggest players in the space. 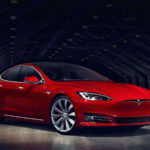 Chief among those selling points is a new, more powerful engine, a brand new transmission, increased rear legroom, and whole bunch of technological improvements. The new 2.4l diesel engine isn’t just more powerful than its predecessor, it’s also more fuel efficient. According to Mitsubishi, it’s rated amongst the most efficient diesel engines in the world. It’s also about 30kg lighter than the engine it replaces, which helps with responsiveness in handling and braking. Combine all that together, Mitsubishi says, and you have something that’s more like a luxury multi-tool than a utilitarian workhorse. That said, Mitsubishi insists that the Triton is no show pony aimed just at looking good mounted on high city curbs. Sounds good, but would it deliver when put through its paces? Over the past few years, most bakkie makers have realised that their vehicles need to be comfortable, especially for long trips on the road. Mitsubishi is no exception. When it comes to the former, it’s increased cabin space for the driver and passengers alike and also included an electrically adjustable driver’s seat, tilt and telescopic steering wheel adjustment. While the Ranger is probably a little more comfortable for the driver, the Triton isn’t far off. As for the latter, the improved suspension definitely helps, with the Triton capable on the highway and more nimble in traffic than you might expect. The interior is also incredibly quiet on both tar and gravel roads, something which Mitsubishi should probably make a bigger noise about (no pun intended). Speaking of gravel, once you engage 4WD, the Triton could hardly handle better, even at high speed (not that you should ever speed, even on empty gravel roads). Our only real quibble was with the automatic box, which at times felt a little sluggish and unresponsive. Unless you’re particularly devoted to auto boxes (or have a crippling fear of clutch pedals), we’d suggest going for the manual option, which is an absolute pleasure. Small wonder then that the Triton felt so at home in the rural parts of Gauteng where we tested it. It’s once you get off anything resembling a road however that the Triton really comes into its own. 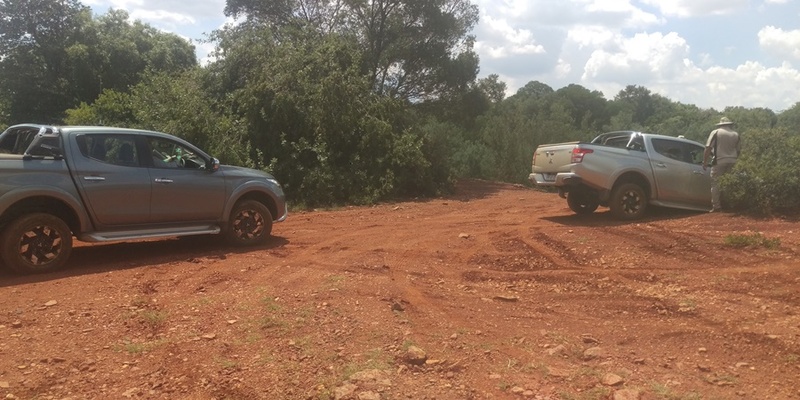 At a dedicated 4X4 park, we engaged low range 4WD, turned on the rear-wheel diff lock and let loose (under the instruction of the kind of people who look at home in khaki shorts and steel-reinforced hiking boots). We’d arrive at a vertigo-inducing precipice and — after whispering a few desperate words to our maker — only for the Triton to make its way down with ease. Breathing a sigh of relief, were confronted with the kind slope that looked certain to flip the car. Under the guidance of the instructors, we lined the wheels up, got the revs stable, and powered up. After a while, the terror was replaced with an understanding of how good the Triton is and it became fun. Things got even more fun once we stopped playing with steep slopes and spent some time in the mud. Hit it a little too hard and the back of the Triton will get a little frisky, but we didn’t encounter any situations we couldn’t get out of. Then again, given the devoted following Mitsubishi’s Pajero has among some 4X4 enthusiasts, it shouldn’t be all that surprising that it’s managed to build something capable of handling whatever nature has to throw at it. So does Mitsubishi have a winner here? Well, it’s difficult to tell after only a few hours. At this point, we can’t really tell you what it’s like to live with, or whether you’ll love it every day until it’s time to sell it. We should have a better idea once we’ve done our full review. Until then, however, we will say that it’s probably worth taking out for a test drive.